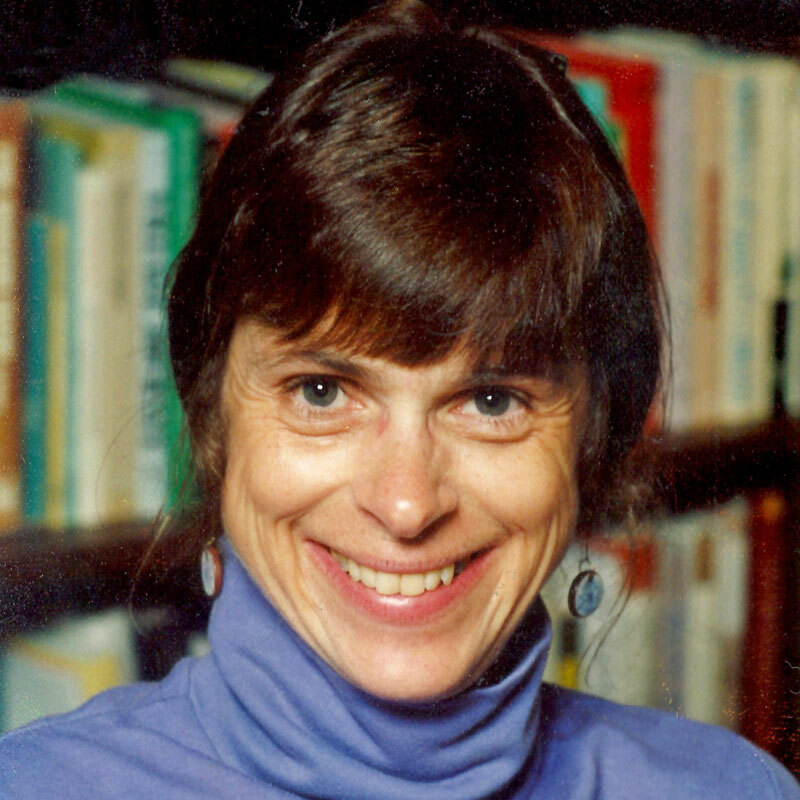 Judith Schachter [Modell] is Professor Emerita of Anthropology and History at Carnegie Mellon University. From 2001 until 2006, she was Director of the Center for the Arts in Society, an interdisciplinary Center joining the Dietrich College of Humanities and Social Sciences and the College of Fine Arts. Her publications include Ruth Benedict (1983); Kinship with Strangers (1994), A Town without Steel: Envisioning Homestead, (with Charlee Brodsky, 1998); A Sealed and Secret Kinship (2002); The Legacies of a Hawaiian Generation (2013). In addition to monographs, she has edited several special journal issues: Constructing Moral Communities: Pacific Islander Strategies for Settling in New Places (Pacific Studies 2002); Relative Power: Changing Interpretations of Fosterage and Adoption (with J. Dickerson-Putman; Pacific Studies 2008); From Romance to Reality: Representations of Pacific Islands and Islanders (with N. Lutkehaus; Pacific Studies 2015); and The Dynamics of Mobility: New Perspectives on Child Circulation in the Pacific (with C. Wentworth; The Asia-Pacific Journal of Anthropology 2017). Recently she was awarded a Fellowship at the Center for Interdisciplinary Research in Bielefeld, Germany. Currently, she is pursuing a project on native Hawaiians in urban settings, an under-studied aspect of indigeneity in the Pacific. Schachter has published a number of methodological and theoretical articles on migration and international conventions; adoption and fosterage; life histories; and, visual anthropology. Her recent work has focused on the impact on local communities, particularly those in Hawai’i, of international covenants, global movements of people, and the diffusion of ideologies regarding “nationhood.” Schachter does extensive research in Hawai'i, where the combination of Oceanic interpretations, Americanization, and bids for sovereignty bring together her interests in the tactics individuals use to alter the conditions under which they live. “The Dynamics of Mobility: New Perspectives on Child Circulation in the Pacific” with C. Wentworth. In The Asia-Pacific Journal of Anthropology, August 2017. “Intercountry Adoption/Global Migration: A Pacific Perspective.” The Asia-Pacific Journal of Anthropology, August 2017. "From 'Squatter' to Homesteader: Being Hawaiian in an American City." In City and Society, v. 28 (1). January 2016. pp. 23-47. “From Romance to Reality: Representations of Pacific Islands and Islanders.”Special Issue of Pacific Studies. Co-edited with Nancy Lutkehaus. August 2015. "Reclaiming Paradise: Cinema and Hawaiian Nationhood" in From Romance to Reality, pp. 229-252. (Im)permanence: Cultures in/out of time. Co-edited with Stephen Brockmann. Publisher is the Center for the Arts in Society, distributed by Penn State Press. Constructing Moral Communities: Pacific Islander Strategies for Settling in New Places. Editor, Special Issue, Pacific Studies, March-June 2002. A Sealed and Secret Kinship: The Culture of Policies and Practices in American Adoption, New York: Berghahn Books, March 2002. A Town Without Steel: Envisioning Homestead (with Charlee Brodsky), Pittsburgh: University of Pittsburgh Press, October 1998.Kinship with Strangers: Adoption and Interpretations of Kinship in American Culture. Berkeley: University of California Press, 1994. Ruth Benedict: Patterns of a Life. Philadelphia: University of Pennsylvania Press, 1983. “Ruth Fulton Benedict.” Encyclopedia of Social Sciences, new edition 2014. “Sovereignty, Identity, and Indigeneity: The Case of Hawai`i.” Beyond Colonialism, E. Engel and E. Bischoff [eds.] LIT-Verlag, 2013. “Sovereignty, Indigeneity, Identities: Perspectives from Hawai`i.” With Albrecht Funk. Social Identities: Journal for the Study of Race, Nation and Culture. May 2012. “Bringing Adoption and ARTS Together: A New Turn in Kinship Theory.” Scripta Nova [Special Issue]. February 2012. “Ruth Fulton Benedict” IN Dictionnaire des Sciences Humaines. 2nd ed. Paris: Presses Universitaires de France, 2012. “One Hundred Percent Hawaiian: Life Stories, Politics, and Anthropology,” Anthropology and Humanism, Vol. 35 (1), 81-100. June 2010. Ruth Fulton Benedict,” Fifty Key Anthropologists, edited by A. and H. Lyons. London: Routledge, 2010. “Writing Lives: Ruth Benedict’s Journey from Biographical Studies to Anthropology,” Pacific Studies, Special Issue, June/Sept. 2009. “International Adoption: Lessons from Hawai`i,” International Adoption, edited by D. Marre and L. Briggs. New York: New York University Press, 2009. “Adoption in Cross Cultural Perspective” IN The Chicago Companion to the Child. Chicago: University of Chicago Press, 2009. “’A Relationship Endeared to the People’: Adoption in Hawaiian Custom and Law,” Pacific Studies, Special Issue, Sept./Dec. 2008. “Matching in American Adoption Practice,” “Foster Care,” “Hanai: Hawaiian Customary Adoption” IN The Encyclopedia of Adoption. Westport, CT: Greenwood Publishing Group, 2006. “Ruth Benedict’s Concept of Patterns Revisited” IN Reading Benedict/Reading Mead: Feminism, Race, and Imperial Visions. D. Janiewski and L. Banner (eds.) Baltimore: Johns Hopkins University Press, 2005.